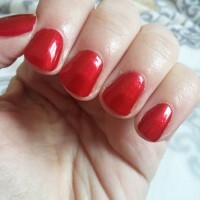 I couldn`t resist buying my namesake polish, not to mention that 4 of my clients have the same name. 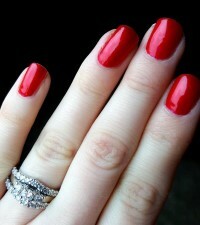 The color is truly beautiful and makes an ideal classic red with a little modern twist. 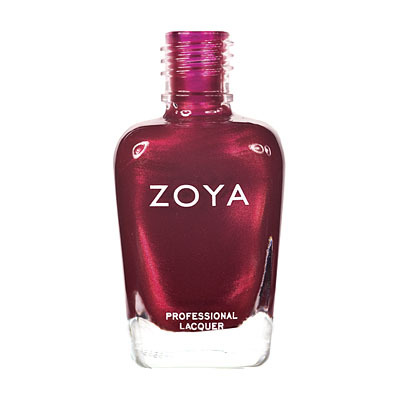 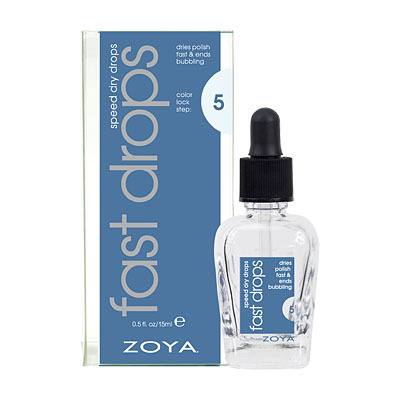 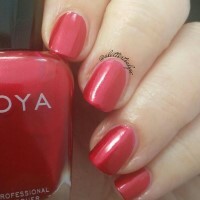 I was turned onto Zoya by one of my clients 6 months ago and I haven`t used any other brand since. 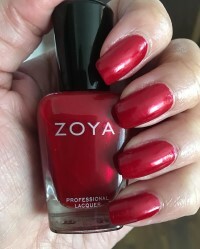 Happy Nail Tech!!!! 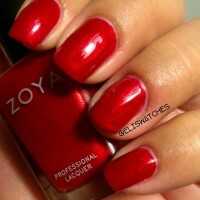 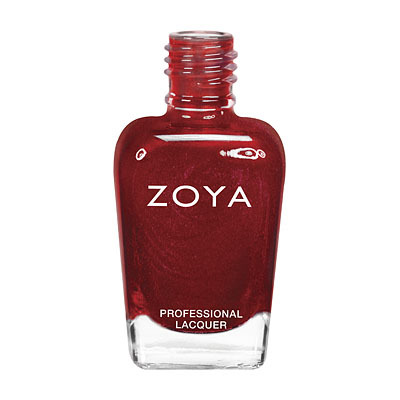 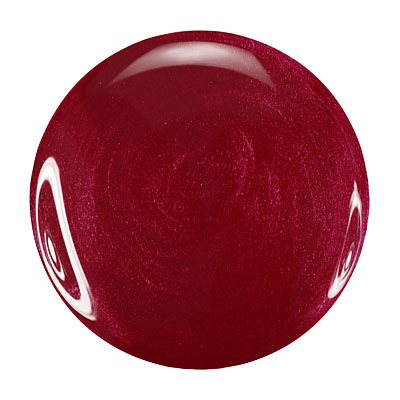 Zoya Nail Polish | ElisaLike shiny red wrapping paper. 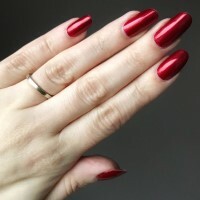 This appears much darker on my computer screen than in person. 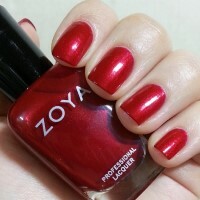 In person it`s a bright metallic red. 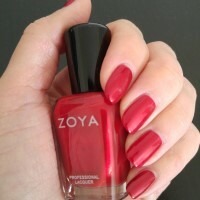 Not too cool or warm toned, but I`d say it leans cooler. 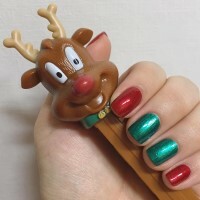 It`s very shiny and festive. 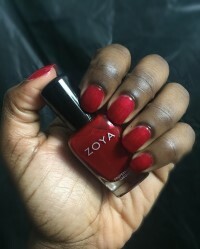 I think this color is gorgeous with black velvet open toe heels. 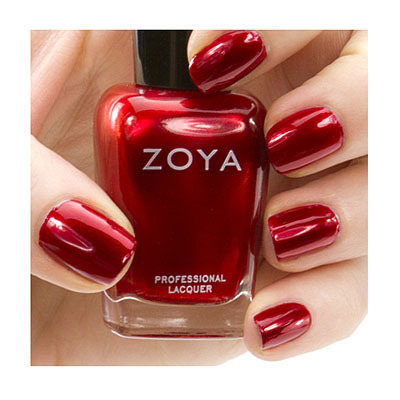 You definitely need to have a shade like this for the holidays!